Sales of 3-day tickets for the 2019 French Grand Prix began in November. Four ticket categories are available at the Paul Ricard circuit in 2019; General admission, Bronze, Silver and Gold. Grandstand tickets are priced from €299 to €529 for 3-days and located on five main areas of the circuit: the Start/Finish straight, Saint Baume (turns 3-4), Chicane (turn 6), Le Beausset (turn 8) and Virage du Pont (turn 12). Early-bird discounts apply until December 31, 2018. Buy tickets from the official supplier, GPFrance.com. 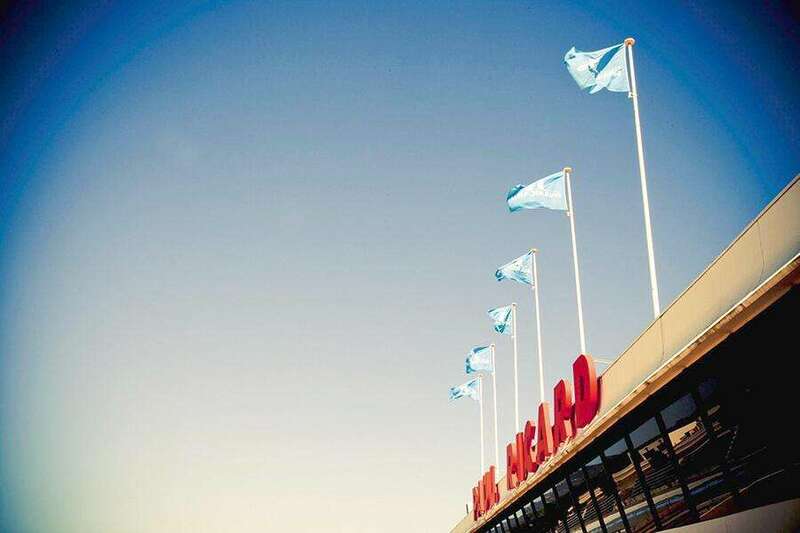 Official Ticket Packages at Circuit Paul Ricard include select grandstands or access to VIP hospitality in the Champions Club or Formula 1 Paddock Club, plus unique additional benefits such as F1 driver meet-and-greets, access to the F1 Paddock and more. You can also add accommodation and transfers to and from the circuit to your ticket package. All tickets for 3 days. It’s not possible to choose specific seats in grandstands. Single-day tickets will be made available on the following schedule: Friday tickets available from February 1, Saturday tickets from March 1 and Sunday tickets from March 15. The distinctive blue and red striped runoff areas at Paul Ricard take up a lot of space at the circuit, putting most grandstands some distance from the track proper. Children aged under 6 are granted free entry, provided they do not occupy a seat. Tickets for children aged 6-12 are available at a 50% discount in General Admission (€74.50 for 3 days). Regular tickets without discount will need to be purchased for children aged 13 or over. Grandstands and General Admission areas will be accessible to reduced-mobility spectators. A special zone is available for wheelchair users on the Beausset corner; email the circuit or call +33 97 07 36 300 to book tickets. Start-Finish: the Gold seats in the main grandstand are covered. As always, this is best for pits action, and the race lead up, start and finish. Choose another grandstand if you want to see on-track action. Sainte Baume (turns 3-4): four Silver grandstands are located between turns 5 and 6. Sainte Baume 4 looks to be the pick of them, with good views of the cars approaching straight. Two Bronze grandstands are also positioned on the run down to turn 7. Chicane (turn 6): the mighty Mistral straight will be broken up by the Chicane Nord (North Chicane). Six grandstands are clustered around this corner: two Bronze grandstands on the entrance (Chicane 1-2) and four Silver grandstands on the corner itself (Chicane 3-6). We’d choose Chicane 6 as you’ll have a view of the cars approaching you (rather than a side or rear view). Le Beausset (turn 8): three Bronze grandstands are located on the outside of the long, sweeping turn 8. Le Beausset 2 and 3 seem to offer better views than Le Beausset 1. A fourth Family Grandstand offering discounted children’s tickets is also on this corner. Virage du Pont (turn 12): Four Gold grandstands are situated on the outside of the slow turn 12 hairpin. All grandstands here are covered. Virage du Pont 2 has views up the main straight, but we’d choose Virage du Pont 3 or 4 for better panoramic views of the final few corners. General Admission: several standing areas are dotted around Paul Ricard, including at the start of the Mistral Straight and after the Chicane halfway down Mistral. The largest zones are located in the last few corners; on the approach to turn 8 and between turns 9-11. Unfortunately, it looks like the General Admission areas are some distance from the track limits. Did you go to the 2018 French Grand Prix? Leave a comment and tell us where you watched the action. 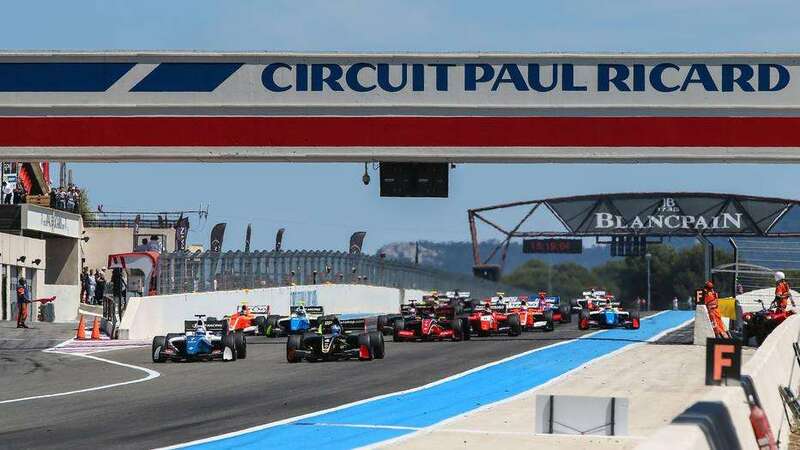 Your trackside guide to Circuit Paul Ricard for the 2019 French Grand Prix on June 20-23. I will only be able to attend the race on Saturday, June 23rd…should I invest in Chicane 1 Grandstand or just buy a General Admission. Would appricate your advise. Hi John, I’d buy the grandstand ticket if you can afford it. Your day will be more comfortable with a seat, not having to battle to get a good vantage point. I’m expecting a decent crowd for the race. hello there, I am planning to go to the french grand prix this year but would like general admission for the sunday only. Can I buy a ticket on the day? Your help would be much appreciated. I bought a 3 day Sainte Baume Silver ticket 2018, It was my second live F1 GP. The traffic management into the track car parks is truly really awful. We were directed around the “ring road of doom” for no less than 6 hours on day 1 (after driving 5 hours to get there) and missed all the racing along with thousands of others in the oroborous traffic queue. The UK commentators noted the fact that the stands were empty because the fan were all stuck in traffic. Saturday and Sunday were slightly better but still a 2 hour queue on Saturday and 3 hours to get in on Sunday morning. Despite assurances that both lanes would be open to general traffic, they still kept one lane for VIPs only. None of the uniformed security personnel had a clue what was going on and most of them just defaulted to headless chicken mode. The systems and procedures failed and it was the fans that suffered for it. They even refused admittance to Sebastian Vettel. The view from the silver stand was good and better than the bronze stand, the screens were visible but too far away to read any text information or identify team mates. It seemed that we got more than our fair share of incidents, overtakes and wheel to wheel racing in front of the Sainte Buame stands. The screen closest to us was faulty all weekend, and had a section in the middle of the screen which went blank most of the time. It’s a long way from the main entrance and the F1 village. The poor path takes you into the infield across 2 bridges with very long queues to get across. The paths to the north side stands are baked dust when dry. When it rains they become 2 miles of sticky clay mud 6″ deep in places. There are no food kiosks near Sainte Buame, There is a drinks stand (reasonable prices) and a temporary toilet which was surprisingly clean. Stock in the souvenir shop is very limited and very expensive. They had run out of anything under 75 Euros by lunchtime Saturday. Commentary was half English, half French. There were long gaps with nothing happening between races. We got to watch a lot of the celebrity Hip-Hop DJ. The stuntman who did a lap on a jet hover-board was by far the most fascinating mid race event. The track was pretty much dead during the periods allotted to those who paid to be chauffeured around for the not very popular “Hot Lap”. The Grand Prix itself was thrilling. The wide run-off areas do take the action further away at first, but you quickly get used to it. Hopefully lessons will be learned, especially traffic management. It was however reported that the organisers were very pleased with the success of the logistics as they had proved it would work. And compensation for the loss of a day’s racing? the hotel night? the wasted fuel? a voucher code for 12% off a similar 2019 ticket providing I book and pay before the end of January. Thanks for your input Steve. We had a Facebook group set up for fans last year going to the event, and I couldn’t believe the horror stories, especially on Friday. It was a massive disappointment for so many fans. I really hope the organizers make some big changes for 2019.